There is still confusion in the market about the current state of data initiatives, especially when it comes to the potential impact of big data on traditional business intelligence and analytics practices. Customers and vendors alike are working to build robust solutions even as new approaches, technologies, and best practices continue to evolve rapidly. Still few can accurately assess the motivations, impacts, and implications of the shifts. ESG undertook a broad study to establish a baseline on various data initiatives and their relative maturity. In order to assess organizations’ use of server virtualization, cloud computing technology, and converged infrastructure platforms, ESG recently surveyed 308 IT professionals representing midmarket (100 to 999 employees) and enterprise-class (1,000 employees or more) organizations in North America. All respondents were personally responsible for or familiar with their organizations’ server virtualization and cloud computing environments and strategies. Survey participants represented a wide range of industries including financial services, manufacturing, business services, communications and media, and government. For more details, please see the Research Methodology and Respondent Demographics sections of this report. Bsquare recently announced a formal entry into the Internet of Things (IoT) market with the launch of its DataV software stack. This represents the evolution of the 20+ year old company from a distributor of embedded software and engineering services to an IoT-focused solution provider. Bsquare believes its expertise in services and experience with enterprise customers in combination with the DataV software product can help customers accelerate IoT initiatives and realize business value. Although IoT is still a relatively nascent concept for many businesses today, almost 40% of organizations are in the process of developing initiatives over the next two years. Big data is a catalyst for increased IoT focus, since the data collected and analyzed from connected things will yield information to power business transformations ranging from improved operational efficiency to net-new business models. However, this intersection also presents key technology challenges in the form of data integration, security, and analysis. According to ESG’s annual IT spending intentions survey, 92% of midmarket and enterprise organizations will increase or maintain their spending on cybersecurity technology in 2016. These increases are being driven by business and IT initiatives so they are likely to continue for the foreseeable future. While spending increases will impact all areas of cybersecurity, ESG anticipates pronounced focus and growth in areas like cloud computing security, automation/orchestration, and cybersecurity services. As the transition to a digital economy takes place, IT has never been more important. Consequently, IT is now viewed far more strategically by enterprises and the demands on IT shops far exceed their ability to keep up. Agile development techniques and, more recently, microservices have allowed developers to cut cycle times and reduce application backlogs. Virtualization has permitted better resource utilization and lifecycle tool chains permit applications to reach production status somewhat faster. 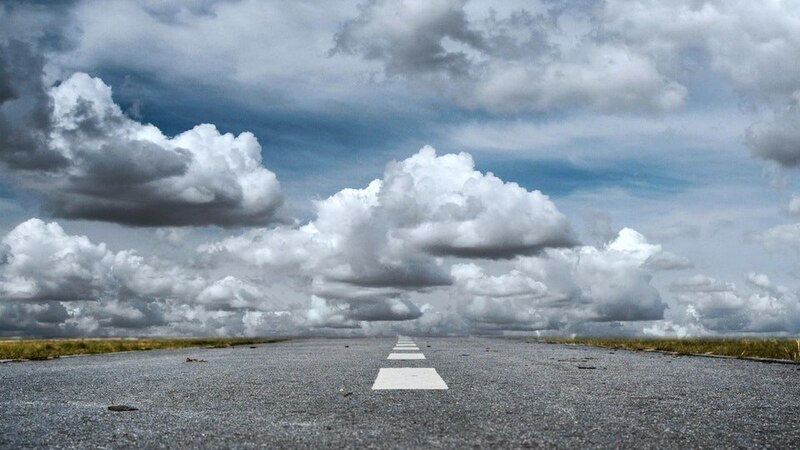 At the same time, cloud services have fueled the emergence of shadow IT despite security and governance concerns regarding mission-critical data and processes residing outside of the corporate data center. However, fundamental challenges still exist between how to support a much faster cadence by developers for application delivery, and how to optimize the performance of deployed applications. These challenges begin with the adoption of agile development techniques and automation of key lifecycle activities. However, these challenges rest on the rate at which resources can be provisioned and how quickly the enterprise can accept managerial responsibility for new production applications. While these challenges describe application development and deployment, once applications are in production, there are additional application management challenges. These application management issues revolve around how to predict issues and optimize the performance of the application given changing application demands, resource availability, and business priorities. While the term DevOps has been with us for a while, it is important to clarify what DevOps means. The DevOps term, a concatenation of development and operations, implies a unified and coherent approach to IT. As we will see, DevOps is really about reengineering IT so that development and IT operations activities can function in a unified way but with maximal autonomy so that lifecycle activities can move forward unimpeded. This approach opens the door to technologydriven automation that is able to shrink cycle times by 1-2 orders of magnitude while simultaneously improving application quality, maintainability, and business value. With workplace mobility becoming a larger focus for many organizations, it stands to reason that data security and data accessibility are top of mind. But for those charged with protecting the integrity of business-critical information, the trend toward “bring your own device” (BYOD) makes that task much more difficult. While IT is working diligently to keep business-critical data safe, it is also tasked with providing end-users with a simple and secure means to access files and data—all without impacting productivity. Given this situation, a solution that simplifies the gargantuan task of managing and securing business-critical data, while providing end-users with secure, appropriate, and seamless data access, would greatly reduce the time and effort IT organizations are currently expending. VMware recently announced Workspace ONE, a platform for delivering secure digital workspaces. Positioned by the vendor as a “consumer simple, enterprise secure, digital workspace platform,” Workspace ONE focuses on secure, self-service end-user device provisioning working in concert with identity and access management to enforce access policies regardless of application or device. VMware also announced two key updates to its Horizon and Horizon Air tools that deliver, secure, and manage virtual applications and desktops. The announcement is focused on VMware’s ability to lead the conversation with business decision makers, and an initial effort to include AirWatch technology in the solution. With the growing workplace mobility trend, many workers are no longer using conventional or company-owned PCs or laptops, but employees still rely on their organization’s existing applications investments and business processes to access a traditional Windows environment. So how do organizations provide workers with the tools they need to be productive? Amazon WorkSpaces is one viable option, providing a cost-effective and secure, managed workspace in the cloud. And, while Amazon Workspaces offers a number of advantages, the top three compelling reasons to explore this solution include: greater operational control, reduced capital expenditures associated with corporate-owned devices, and a secure, easy-to-access workspace. Most users think of networking as devices to deploy on-premises or as an underpinning for cloud providers’ infrastructure, but with an increase in workloads deployed in the cloud, it’s key to consider the importance of the network interconnections that support workloads in service providers. Modern workloads are increasingly dependent on interacting with customers and partners on a wide network. IT needs to treat these capabilities as a core platform for deployments and a way to gain business value, as opposed to a set of features based on simple speed comparisons. ESG Brief: Is the Google Chromebook Business-ready? Google Chromebooks are clearly on the radar screens of IT organizations and are poised to potentially disrupt the entrenched platforms end-users have relied upon to do their jobs for years. The simplicity and economics of the Google portfolio can make Chromebook an attractive option for businesses that are experiencing a rapid change in the way employees work. How is this message being received by corporate IT departments, and what impact will it have on the end-user computing status quo?